TCMFF 2018 is coming up and I've been seeing a lot of people asking about good places to eat near the hub (Hollywood and Highland.) As a matter of fact, there is a really good blog that covers most of those restaurants, here. I can totally understand wanting to stay near the epicenter, but why not see the few Old Hollywood hot spots that have not been needlessly torn down to make parking lots or strip malls? Jean Leon was the original celebrity chef and many movie stars and ex-Presidents were his pals, making his restaurant very popular. La Scala was and is a "power lunch" hot spot, so, unless you want to deal with hangry Beverly Hills Housewives and overly aggressive agents, opt for a calmer late lunch/dinner. For us old Hollywood lovers, you might just see one of your favorite stars munching away in one of their famous red leather booths. And if you don't see them in real life, the ambiance; low lights and a classic Cole Porter songs floating on the air, will help you imagine what it was like when Natalie Wood was dining in the booth next to you. This is where the chopped salad was born, so I insist that you order one. The original (salami, mozzarella, garbanzo beans, lettuce and red wine vinegarette) is addictive, but I like to order the chicken chop with bacon. You can add almost anything you like, but you will pay for the additions. (Duh) My favorite pasta is their spaghetti bolognese. It is not a beautiful dish, but your taste buds will thank you. And please end the meal with an espresso and their homemade tiramisu. If you are getting into town early, you can walk one street over to the Paley Center to see the items Liza Minelli is auctioning off. Get into your best mid mod garb and go to the Dresden Room. The decor has stayed the same since 1964. You've seen it in tons of movies and TV shows without even knowing it. The lounge is amazing and the singing duo, Marty & Elanye, have been singing there since the 1980s. I had the best apple martini of my life here, so I totally support getting that cocktail! Every time I come here I've ordered the peppercorn steak. I have heard the lamb is amazing as well. Honestly, I was pretty buzzed all three times I've been there and just remember it being a great time. 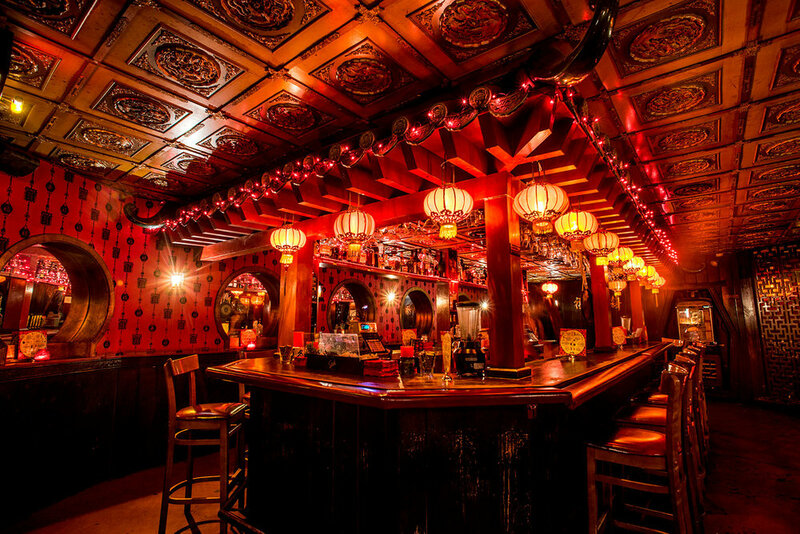 Speaking of buzzed, the Good Luck Bar is a fabulous tiki bar with AMAZING drinks. It's not that far from the hub of TCMFF, so you don't have to worry about being stuck in that much traffic going to and fro. There is no food here, but the drinks are much stronger AND cheaper than the $20 martinis they serve at Club TCM. La Dolce Vita definitely embraces it's Old Hollywood roots and have been in business since 1966. Most of the booths have little metal plates above them denoting which celebrity's booth it once was. It's very swanky, so this would be more of a date night location. I had the steak Sinatra and it melted in my mouth. This is also within walking distance of the Paley Center, so at least have a drink at their beautiful bar. 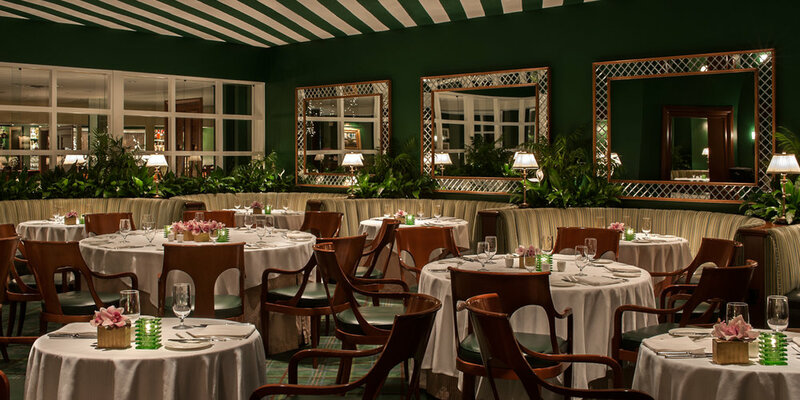 Located in the Beverly Hills Hotel, this place is CLASSIC Old Hollywood and you will need to bring some fat coin to dine here. I have seen celebrities every time I've dined here and had a mini heart attack when I paid $90 for a chicken caesar, fries, and a cocktail. What?! I'm no Rockafeller. Clearly, I've had lunch here. I've also had steak for dinner here, which was fab (As I re-read this entire blog, I used to eat a ton of steak. Damn.) Anyway, the steak was great but the souffle is out of this world. My favorite one was half Grand Mariner (orange) and half chocolate. The souffle here is like Angel Food Cake, unlike other restaurants that make their's to taste like wet eggs and some chemically flavor...yuck! If the Polo Lounge is too expensive but you still want that Beverly Hills Hotel experience, go downstairs to the Fountain Coffee Room. It's basically the fanciest diner you'll ever go to. Like Miceli's, except the food is good. Have dinner here and you won't disagree. They have been in business for over fifty years, so they know what they're doing over there. The bar is super old school and the food is huge and cheesey, in the best possible way. I would say where La Scala and La Dolce Vita are lighter Italian foods, Dantanas will fill you up and send you into a food coma. That's not a knock because after eating popcorn all day at TCMFF, sometimes you just want to oink out. I'm sure I'm missing a few Old Hollywood spots (Taix) but these are the places I have gone to multiple times and can vouch for. See you there! !